Stagedhomes.com® is the World Leader in Staging Education. Since 1999, we have graduated tens of thousands of students through our award-winning programs. Stagedhomes.com offers the ​premier accredited designation for professional Home Stagers and Real Estate Agents, providing on-trend continuous education, enabling students to apply their creativity, business acumen and ethics to positively run successful businesses. Stagedhomes.com® empowers our students to provide strong leadership where they work and live, and embrace serving and honoring clients and community, with integrity and compassion. "I am so very proud of our terrific Staff Team at Stagedhomes.com. You will love working with each and every one of our fabulous staff members. We are all here to help you in every way we can!" Jennie Norris is the President & CEO of Stagedhomes.com and is excited to be at the helm to help take the company into the future. Her passion for the industry, for success of colleagues, and dedication to the mission Barb started, continues in this challenging role. Jennie is known as a high-energy individual, with a mind that engages quickly and a passion for helping people. Her goal is to keep Stagedhomes.com as the industry leader for Home Staging education and business success throughout the world. Jennie has been trained personally by Barb Schwarz, the Creator of Home Staging®, earning her ASP® Designation in 2002 and her ASPM® Designation in 2004. In 2003-2005 Jennie was the ASP® Business Coach, and in 2005-06 served as the Director of Training for Stagedhomes.com. Jennie is part of Staging features on ABC’s 20/20, NBC’s Today Show and HGTV television and online segments, national and local publications, and radio. She is the only 2-Time Winner of the Staging Award of Excellence and the first recipient of the IAHSP Spirit Award, voted on by peers in the Home Staging industry. Jennie has earned her ASP-REO™ (Real Estate Owned & Investor Properties), ASP-SRS™ (Senior Relocation Specialist) Designations, ASP-BTS™ (Buyer Trends Specialist) Designation, IAHSP-Color Basics, and IAHSP-LHS – Luxury Home Specialist Designations, and has attended and spoken at every IAHSP® Conference held to date. Since 2005, she has presented the Accredited Staging Professional® (ASP®) Course as a Certified ASP® Course Trainer throughout North America, currently teaching the monthly webinars and ASPM® Course. She has shared with and educated thousands of real estate industry professionals and Stagers about Home Staging, and has helped mentor Home Stager colleagues as a Business Coach, Trainer and colleague. In 2012, Jennie co-authored the book, “Marketing Made Simple” with Barb Schwarz. Jennie is also the Chairwoman for the International Association of Home Staging Professionals® (IAHSP®) International, helping to guide the Home Staging industry and providing leadership worldwide. In 2003, she started the first IAHSP® Regional Chapter and helped launch over 150 member chapters to date. In late 2009, after running a successful Staging business in Sacramento for seven years, Jennie and her family moved to the Denver area where she launched a new Staging business and has grown the company to include five ASP® Stagers to handle business volume and clients. To date Jennie has personally Staged over 4,800 properties and over $3 Billion in real estate. Jennie received a degree in Psychology with a Biology emphasis from UCLA and provided Marketing and Sales for large environmental engineering companies that oversaw the remediation of some of the nation’s largest Superfund sites. When she had the first of four children (a girl and 3 boys), she left the corporate world and found her way into Staging through a desire to earn income doing something using her creative talents while also giving her flexibility to raise her family. Jennie and her husband of nearly 32 years, John, currently live in Littleton, CO with their 4 children living at home or nearby. John studied architecture, business and history at UCLA and was always fascinated by houses. His parents could be considered the original “house flippers” back in the 1970’s as they bought and rehabbed properties on the side, with John helping his Dad lay flooring and paint walls. 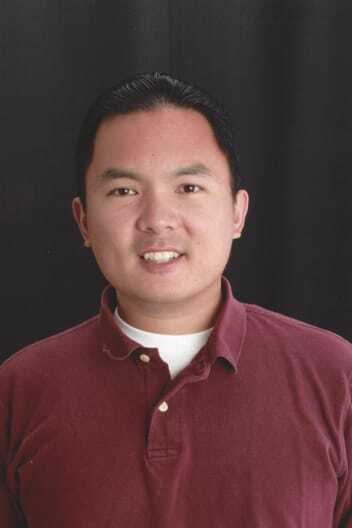 After graduating with a degree in Business/History from UCLA, John entered the high-tech industry in corporate sales. Wherever he worked in the high-tech industry, John was always one of the top sales persons in the organization, winning many awards, quota club trips and accolades from his company and colleagues. He has a strong background in training, process, coaching and sales strategies. In 2004, John followed his love of houses and architecture and became a REALTOR®. He found his niche with helping residential Buyers and Sellers successfully find a home or sell their house. 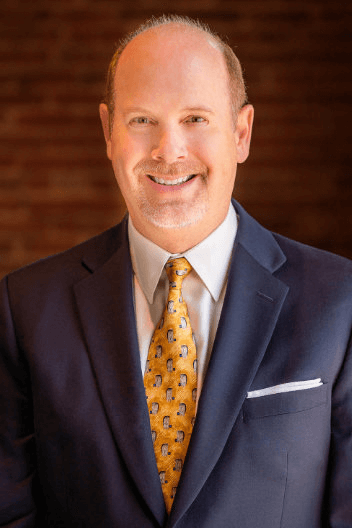 He is referred to by his clients as “the Negotiator” as he skillfully applies his expertise from over 26 years in high-tech industry Fortune 500 sales to successfully negotiate offers for his clients. As a REALTOR®, John was a Top 10% Producer in the Sacramento market where we was recognized as part of the Masters Club Achievers, and is a Realtor in the Denver region, and has been received awards for his production. John earned his ASP RE Designation in 2006 and was personally trained by Barb Schwarz. As part of his real estate services, John includes Staging as a key listing and marketing tool for his sellers, and has worked closely with Jennie to support her business from assisting with vacant properties, business management and marketing advice. The real estate companies John has worked with provided solid training on business success, and he brings this expertise to the ownership of Stagedhomes.com. Working alongside Jennie, John will be providing operations and program development support with the goal of helping increase educational resources for ASPs. In his younger years, John lived in the Chicago area, then Littleton, CO and eventually to the Bay Area where he spent most of his childhood and teenage years. He met Jennie at UCLA and got married after she graduated, and they moved to San Francisco. After living in the East Bay and the Sacramento area, they moved to Littleton in late 2009. John is a life-long skier and learned on the slopes of Breckenridge, CO when he was 6 years old, and was also a competitive skier in high school, ranked in the State of California for slalom. He has enjoyed introducing the sport to his children and also enjoys hiking, biking, and being outdoors in general. 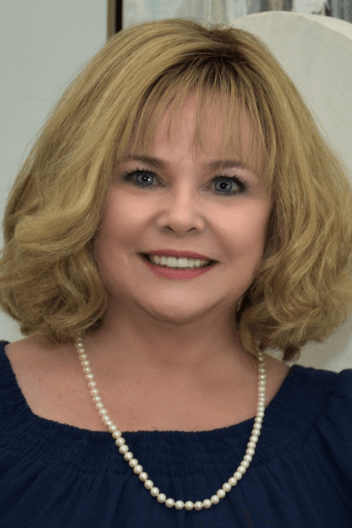 Sandra Holmes is Accredited Staging Professional Master® (ASPM®) and the President of Home Staging Concepts, the Premiere Home Staging Company in South Florida. Sandra and her team have staged over $1 Billion dollars in real estate since she created her business in 2005. She continues her education in real estate and in the staging industry to keep current with the trends of today’s market. Sandra currently serves as President on the Board of Directors of IAHSP® and serves as Director of Fundraising for Worldwide Staging Service Week® and the International Association of Home Staging Professionals®. She has held other board positions within IAHSP for several years. 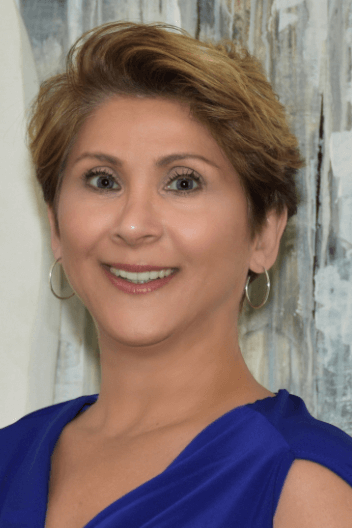 She was also the Founder of the South Florida International Association of Home Staging Professionals Chapter and has held various board positions. Sandra believes that continuing education is the key to success in the staging industry. Sandra’s philosophy is that together we can do more! Sandra has earned several designations over the years as an ASPM® such as the ASP-SRS™ (Accredited Staging Professional – Senior Relocation Specialist) ASP REO™ (Accredited Staging Professional – Real Estate Owned) ASP BTS™ (Accredited Staging Professional Buyer Trend Specialist) in which she taught at IAHSP Convention as she is a recognized expert on how to stage vacant properties and to appeal to the buyer in a particular location. In 2014, She also received the Barb Schwarz Staging Excellence Award. 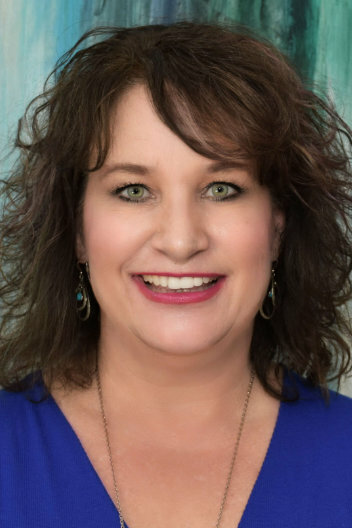 Sandra became a Certified ASP® Trainer for Stagedhomes.com in 2014 and her passion is to teach new students about how to run and operate a home staging business and become outstanding Accredited Staging Professionals. 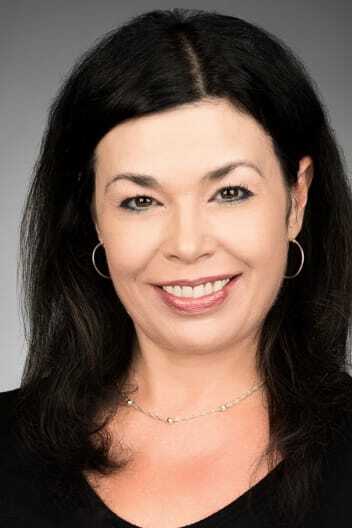 Before starting her own career in the staging industry, Sandra was a Sales Manager for the B2B division of AT&T Wireless Services for 15 years in both sales and management positions. She is a true professional with standout success in sales, leadership, relationship management, marketing, and training. She is highly motivated, reliable, confident, and committed to professional standards of performance with the ability to prioritize and execute goals. Sandra is a results driven catalyst and respected decision maker. She resides in Fort Lauderdale, Florida where she has two beautiful grown daughters with whom she enjoys spending her time. Sandra also works closely with many charitable organizations in her community. She knows that giving back is what makes us all what we are and can become in the future. Lyn Spaeth has been in the real estate business for 14 years as a professional Home Stager and owner of Transformations, a full service Staging and Organizing company serving the Boston area. Lyn has built and remodeled many properties and enjoys all things real estate. As a lover of good home design, Lyn was drawn to creating beautiful spaces in the residential marketplace. Lyn gains great satisfaction creating beautiful homes for her clients, and this progression led her to starting Transformations. Due to her success and ease with clients, her design business grew into helping those same clients move into new properties, and other clients refresh their current living spaces. Lyn is proficient in managing space and is expert on de-cluttering strategies. She knows that using one service provider for de-cluttering, Staging, move management and setting up a new home provides a sense of security; especially for her elder clients and their children. Lyn earned her Bachelor’s Degree in Communications, with a Minor in Training and Professional Development from Emerson College. Prior to starting her Staging business, Lyn was a corporate Account Executive at Communications Management International and Digital Equipment Corporation. In those roles, Lyn sold and developed marketing tools. Lyn had great success meeting her clients goals, and increasing their profit. Lyn left high-tech, and determined her next career would incorporate her creative side and she discovered Home Staging, earning her ASP® Stager Designation in 2005. In 2014, Lyn became a licensed real estate agent, and the same year earned her Accredited Staging Professional Master® (ASPM®), Buyer Trend Specialist (BTS), and a Color Trend Specialist (CTS). She is affiliated with many industry organizations and serves on the Board of the Boston IAHSP Regional Chapter and the International Association of Home Staging Professionals® Board. Lyn also belongs to local charitable organizations serving the Lincoln area and enjoys giving back to her community. Lyn and her husband have three daughters, all schooled in Lincoln. The home team includes a dog-named Max, and cats Freddy and Misty. Lyn is a faithful cheer and dance Mom and spends many weekends at competitions. 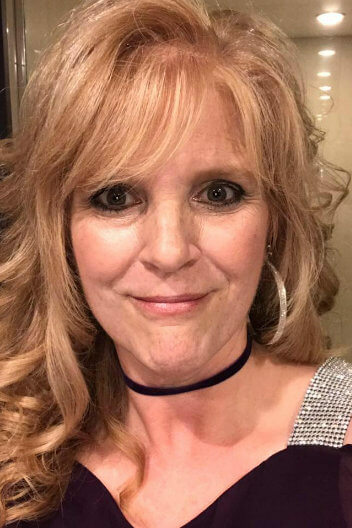 Lyn is a Zumba junkie, a Patriots season ticket holder, enjoys musical theatre, dancing, traveling, her big, loud Italian family, gardening, reading, and her musical husband. Bette Vos-Fant left a successful 27 year career in the corporate world of telecommunications in sales and marketing to become an ASP® Stager. Bette gained valuable knowledge working in the corporate environment first as a National Accounts Representative, then Sales Manager and eventually a Sales Trainer. With Bette’s Master’s Degree in Education, she has found her passion for educating and training. Bette says “I believe education and passion are paramount to a successful business and in life itself”. Bette received her undergraduate degree from Louisiana Tech University and her Master’s from the University of Alabama at Birmingham. Bette is one of only several hundred Accredited Staging Professional Masters® (ASPM®) in the world and to date has staged over 2000 properties. Bette launched her home staging business in 2004 in Dallas, TX and was one of the first successful home stagers in the Dallas/Ft. Worth area. In 2005, Bette became the Founder and President of the Dallas IAHSP chapter. She has also held several different roles on the International Board, including Director of Operations, Director of Ambassadors, and currently serves on the Board as Secretary of the International Association of Home Staging Professionals® (IAHSP®). After leaving Dallas, Bette moved to Illinois and once again launch her staging business. 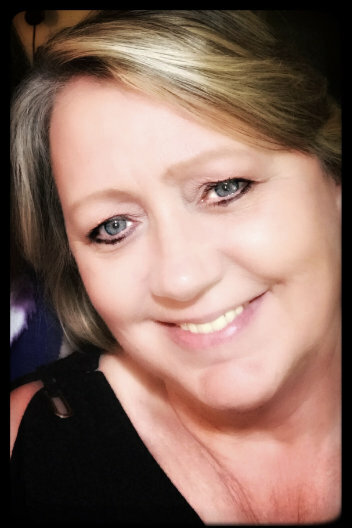 Never one to stay “just because I have to”, Bette decided to move back to the Birmingham, AL area and continues working with realtors and homeowners there today. While running her own home staging business, Bette became a Certified ASP® Trainer for Stagedhomes in 2005. Her true joy comes from the passion she feels from helping to educate others about home staging and what it takes to run a successful home staging business. Home staging has been a “life changing” experience for Bette and she wants to share this with others. During the past years, Bette has earned several other designations including the ASP-SRS™ (Accredited Staging Professional-Senior Relocation Specialist), ASP REO™ (Accredited Staging Professional – Real Estate Owned), and the ASP BTS™ (Accredited Staging Professional Buyer Trend Specialist). Staying current and relevant in this business is important and continuing education courses is one way to make sure this happens. Bette, originally a Louisiana girl, currently resides in Pelham, AL with her husband, Ben. Bette and Ben have 5 grown children and 10 grandchildren. Besides spending time with family and friends, Bette is also active in her church and community. When you want to learn about Home Staging, you want to learn from the best. Our Certified ASP® Course Trainers (CASPT®) have been hand-selected to present the award-winning Accredited Staging Professional® (ASP®) Course to students worldwide. Each trainer has been successful in their business and provides our students with real-life experiences and insight in the Staging and Real Estate industries. Our Trainers are not just knowledgeable, they are engaging and make the course a memorable and worthwhile experience for our students. They are leaders in the industry and help mentor colleagues through membership in the International Association of Home Staging Professionals® (IAHSP®). All of our CASPT® have earned the highest form of training in the Staging industry, the Accredited Staging Professional Master® (ASPM®). The Stagedhomes.com CASPT® Team have been taught personally by Barb Schwarz, The Creator of Home Staging®, and honor and respect the ASP® Code of Ethics, holding in highest regard the mission and vision of Stagedhomes.com. Jennie has been trained personally by Barb Schwarz, the Creator of Home Staging®, earning her ASP® Designation in 2002 and her ASPM® Designation in 2004. 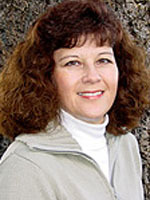 In 2003-2005 Jennie was the ASP® Business Coach, and in 2005-06 served as the Director of Training for Stagedhomes.com. Jennie is part of Staging features on ABC’s 20/20, NBC’s Today Show and HGTV television and online segments, national and local publications, and radio. She is the only 2-Time Winner of the Staging Award of Excellence and the IAHSP Spirit Award, voted on by peers in the Home Staging industry. In 2012, Jennie earned her ASP-REO™ (Real Estate Owned & Investor Properties), ASP-SRS™ (Senior Relocation Specialist) Designations, and in 2014, earned the ASP-BTS™ (Buyer Trends Specialist) Designation and has attended and spoken at every IAHSP® Conference held to date. Since 2003, Jennie has served in various roles on the Board of the International Association of Home Staging Professionals® (IAHSP® ), helping to guide the Home Staging industry and providing leadership worldwide. In 2003, she started the first IAHSP® Regional Chapter, giving birth to Barb’s vision of IAHSP Regional Chapters throughout North America. She is currently President of the Denver IAHSP Chapter. In late 2009, after running a successful Staging business in Sacramento for seven years, Jennie and her family moved to the Denver area where she launched a new Staging business and has grown the company to include four ASP® Stagers to handle business volume and clients. To date Jennie has personally Staged over 3,500 properties and over $2 Billion in real estate. Jennie received a degree in Psychology with a Biology emphasis from UCLA and provided Marketing and Sales for large environmental engineering companies that oversaw the remediation of some of the nation’s largest Superfund sites. When she had the first of four children (a girl and 3 boys), she left the corporate world and found her way into Staging through a desire to earn income doing something using her creative talents while also giving her flexibility to raise her family. Jennie and her husband of nearly 30 years, John, currently live in Littleton, CO with their last son finishing up high school, 2 sons in college, and 1 daughter who graduated college and has joined the Stagedhomes.com team, as well as a dog, Copper and cat, Oliver. 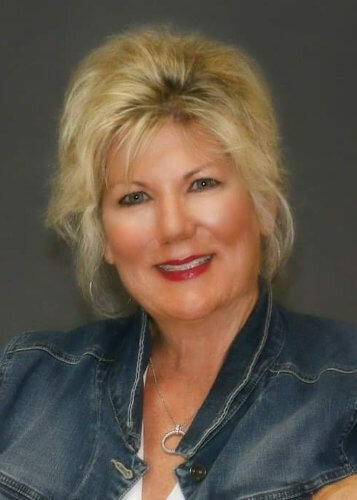 Sandy Earnhart has been in the real estate industry for seven years as an ASP® Professional Home Stager. She earned her ASP® designation from Stagedhomes.com in 2009 and her ASPM® designation in 2012 at the IAHSP® Educational Conference. In 2014, she was personally trained to become a Certified ASP® Trainer by Barb Schwarz, the Creator and Founder of Staged Homes. She has shared the “magic” of ASP® Home Staging with hundreds of Realtors and Stagers across the U.S. and Canada through her classes. Kathy’s greatest childhood achievement was designing and Staging the imaginary “Tiny Town” in the woods behind her Minnesota farmhouse. After High School, Kathy moved to Minneapolis and completed a Travel-related business school that sparked a life-long desire to see the world. She has traveled and lived in Western Europe. When working with the International Development Division of Land O’Lakes she traveled and managed staff and projects throughout Eastern Europe. Reviewing her 30 years in the business world, Kathy claims her major achievements were: conducting a training session in a discotheque in Romania where the only lighting turned out to be strobe lights; designing 3-month internship for 17 Bulgarian and Romanians that included karaoke singing; and Staging “the history of Land O’Lakes” for the company’s 75th Anniversary. In her Corporate career, Kathy also attended Metro State University and completed the Mini Master’s program in Business and Quality Management from the St. Thomas Business School. Kathy, along with her husband and 19 year old son, now live the good life in northern Minnesota. In 2012, Kathy trained with Barb Schwarz to become an ASP®. Staging by Kathy, LLC, was launched with intensive community education, networking and building strong relationships. In 2013, Kathy became an ASPM® and in 2014 she re-launched the Minnesota IAHSP Chapter. In 2014, Kathy became a Certified ASP® Trainer for Staged Homes.com. In the Corporate world, Kathy was known by some of her coworkers as “the Electrical Spark – Igniting ideas, re-charging systems, and energizing teams for creative solutions”. Kathy continues to incorporate her “spark” into her business as well as her training for StagedHomes.com. Recognized amongst Staging and Design aficionados for his engaging personality and his limitless devotion to the Home Staging industry, Kevin Htain- Lifetime Master Accredited Staging Professional, has become an iconic figure in the Staging industry for creating emotionally magnetizing spaces that sell. Identity Home Staging specializes in Staging Homes for Real Estate, Interior Design, as well as Home Builder’s Consultations. Identity Home Staging is recognized as the first and only LIFETIME ASPM Staging Team in Southern CA, South of San Francisco! Since 2005, Identity Home has successfully Staged over 1 Billion square feet (over $575 million dollars worth) of real estate in Southern California and Nevada. Kevin and his Team’s Staging work is also regularly featured on HGTV’s #1 rated show, “Flip Or Flop.” Staging for Tarek and Christina El Moussa has been a wonderfully enriching experience for Kevin’s entire Team. Be sure to check out their work on HGTV on Thursday’s! 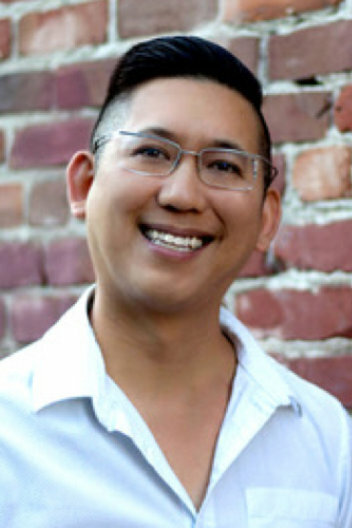 In 2014 Kevin was selected amongst his peers as “West Coast Home Stager of the Year.” In 2015 Kevin was awarded “The Barb Schwarz Staging Excellence ASPM Stager of the Year.” Both honors have been received with humility and humbleness. 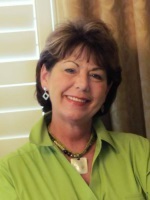 Andi Hurley is an Accredited Staging Professional Master (ASPM®) and Certified ASP® Trainer for stagedhomes.com. 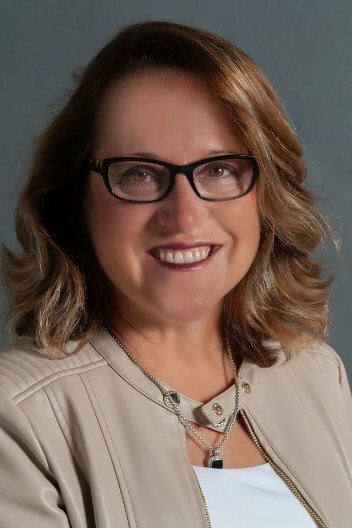 Andi currently serves as Secretary of both the International Association of Home Staging Professionals (IAHSP®) and the South Florida International Association of Home Staging Professionals Chapter. Prior to her recent move to South Florida, Andi worked as a Staging Team Leader for Staged Interior, the Washington, DC area preeminent staging company. During her tenure at Staged Interior, Andi led staging projects for some of the top builders and realtors in the Northern Virginia and Washington DC areas. Andi has staged all types residential properties from small condominiums to multi-million dollar estates. Andi loves the home staging profession because she understands that she is in a position to make a meaningful difference in the lives of her clients by creating more wealth for them and helping them move on to the next phase in their lives as quickly as possible. Andi’s husband recently retired from the U.S. Army. During their time as an Army family, Andi and her husband moved 15 times in 24 years so Andi clearly understands the stressors associated with moving and is uniquely qualified to help homeowners prepare their properties for market. Andi’s specialty is staging occupied properties where she can fully use her creativity and apply her talent for repurposing homeowner’s items to maximum effect. The Hurleys now reside in South Florida where Andi is establishing her new home staging business, Premier Home Staging, LLC. Although Andi loved Army life, she is thrilled to be in paradise where she can plant permanent roots. No move moves! Karen B. Mendenhall, had been practicing real estate in the Charlotte region as a career for more than 15 years before opening a home staging company. Stage It! was established in 2005 and is Charlotte’s premiere accredited, home staging company. Making houses out shine the competition is her passion. Karen has a “furniture moving” disease. She needs to see pieces in different places before she can decide which location is best for the camera, the traffic flow, and the use of the space. Staging is the only cure for her ailment. Having been personally trained by the Creator of Home Staging, Barb Schwarz, she is forever grateful to her for sharing all of her knowledge and expertise while at the same time caring enough to make sure she succeeded. The Stage It! Team has now staged more than 1000 properties! Karen and her husband, Dave, have two married sons, four grandchildren, three great- grandchildren, one dog and one cat. 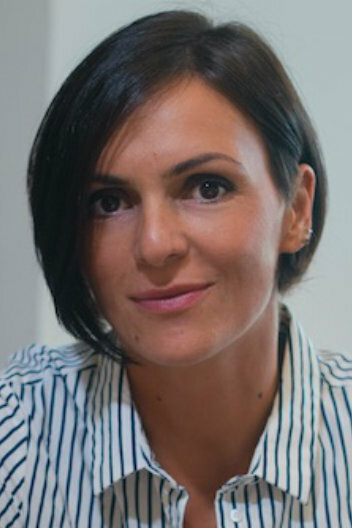 Sanja is an Accredited Staging Professional Master and an Interior Designer. Combining her passion and knowledge for these two professions, in 2013 she has founded The Art Of Staging with the aim to provide Home Staging & Interior Design services with ethical and high-quality standards through creative designs and successful communication. After living many years abroad and in the United States, she has now settled in Rome, Italy where she is successfully pursuing her career as a Professional Home Stager. Sanja serves the IAHSP® Board of Directors as a European Director. 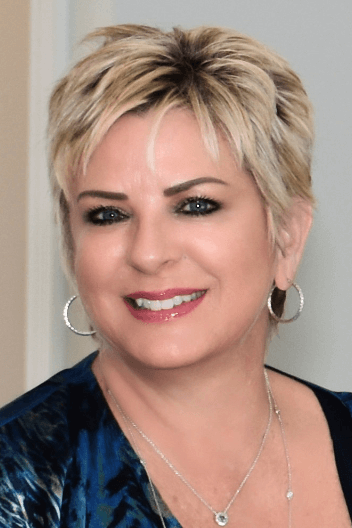 Mary Scalli is the President & CEO of North Houston Blinds, LLC dba Simple Elegance which specializes in window treatments, shutters, blinds, interior decorating services and home staging. She is an Accredited Staging Professional Master, a Luxury Staging Specialist & Certified Luxury Home Staging Specialist, Senior Relocation Specialist, Buyer Trends Specialist, Certified Confident Color Consultant, Southern Regional Director of IAHSP (International Association of Home Staging Professionals), Certified ASP® Class Trainer, and a Board Member of the International Association of Home Stagers. Mary has been recognized several times by HSRA as 1 of the Top 5 Stagers in their association, Top 10 Professional Staging Companies, and by IAHSP as 1 of the Top Staging Teams, 1 of the Top Vacant Stages & 1 of the Top 10 Staging Companies. In 2018 Simple Elegance was recognized for Excellence in Staging, Excellence in Customer Service and Excellence in Leadership. She was also the 2015 Affiliate of the Year by WCR, Great Northwest Chapter. She is dedicated to excellent customer service and making a positive difference in each of her clients’ and team member’s lives. In 2015, Mary co-authored Home Staging by the Book with Jana Uselton, Founder of HSRA. She is very involved in her community through her son’s activities, church, Junior League of the Woodlands, The Greater Houston Chapter of International Association of Home Staging Professionals, WCR, a Featured Speaker at the Woodlands & Cy-Fair Home & Garden Shows, HSRA Summit, IAHSP Conference, the Recognized Professional Stager for Champions School of Real Estate’s CHMS class in Houston, and a featured guest multiple times on The Rat Pack Real Estate Radio Show and on Successful Living with Bill Knapik. Thirty years ago, I set out to become an Interior Designer and I earned a bachelor’s degree in interior design as a single mom. Fast forward 15 years, I was intrigued by this thing called “Staging®”, so I found this program in the Bay Area that was run by Staged Homes! Little did I know how that five day course with the Inventor of Staging® would change my life and the course of my career! Having the privilege of studying with none other than Barb Schwarz all those years ago now blows my mind! But I am able to say that I am one of the first Accredited Staging Profession Masters that Barb personally trained back in 2003! I was ASPM #17 and launched off into the business of combining my Design career with my own Staging® business as well. I have since had two additional staging businesses, one in Tennessee and two Stockton, CA. I am somewhat of a nomad having lived in 16 different cities in my life from Tampa to Oahu and have traveled through all 50 states except 6! This makes me not only a Southern girl, born and bred, but companionate to people from all over! I have a unique understanding of how locale can influence your business and I bring that to the classroom. It is my desire to give you, the student, the ability to tap into my years of professional experience and walk out with a solid understanding of what an ASP or ASP-RE can accomplish. I live in Stockton, CA with my daughter, my two adorable grandkids (9 year old girl and 6 year old boy) and our brand new Golden Retriever mix puppy! Life is NEVER boring! I look forward to meeting each of you as I have the privilege of being your trainer in my next class! 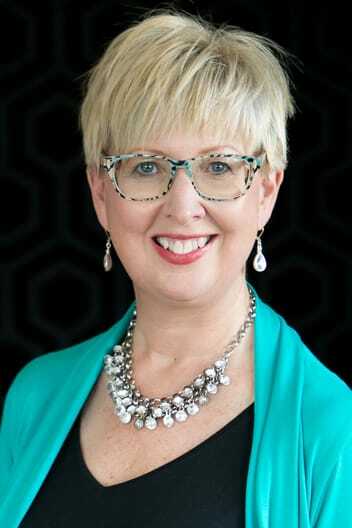 Janiece Todd Parsons is an Accredited Staging Professional Master and an Allied Member of ASID (American Society of Interior Designers) who serves the Northern California area. She is a professional Kitchen Designer, holds a BS in Interior Design, ASPM (Accredited Staging Professional Master)and ASP Course Trainer with Stagedhomes.com. Janiece previously served as President of the Greater Memphis Regional Chapter of IAHSP. We are spoiled at Stagedhomes.com. We believe we have the best staff of Marketing, Business Development and Technical support in the industry. Our Team takes pride and joy in helping our students before, during and after they graduate from one of our award-winning ASP® Courses. We are thankful that our team has been with us for years, and takes to heart our Stagedhomes.com mission and vision statement. Each member provides integral support that keeps the company moving forward on a daily basis and the team is here to support our graduates as you move forward in your businesses as an ASP®. 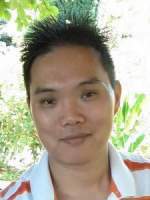 Being in the technology field, Duane has extended his training and attained his Master’s degree in IT Management from Golden Gate University, Ageno School of Business. He also has attained extensive training in IT Project Management and Web Development. He is a certified Project Management Professional, and holder of many IT certifications in Full Stack Web Development, Agile Project Management (Scrum), Amazon AWS, and Java Programming. Duane uses his extensive knowledge in Web Development and Systems Management (DevOps) and has been managing StagedHomes.com's IT and Technology department for over a decade and ensures StagedHomes.com utilizes the latest in web and mobile development methodologies. Duane is also an Accredited Staging Professional and trained by Barb Schwarz. By knowing Barb's Home Staging methodology, he is able to help our ASPs by providing technical solutions tailored to our Accredited Staging Professionals. She has been with Stagedhomes.com for 9 years. She brings with her more than 20 years of experience as the Director of Sales and Vendor Relations. Christa gained extensive experience in a variety of sales, advertising and marketing positions. Including a background in the theater, television and movies. In addition she is driven and tenacious with an entrepreneurial spirit. Several years ago she created, owned and operated a successful online event planning/party supply company. "The Little Party Company"
For Stagedhomes.com she is responsible for marketing concepts, establishing and maintaining sales goals; Identifying marketing opportunities, accomplishing marketing and sales objectives, developing, implementing, and evaluating advertising and promotional programs. As well as working to partner with key vendors. Christa is also an ASP® Accredited Staging Professional trained in the technics and methodologies of Home Staging created by Barb Schwarz. This training provides her with the ability to understand the importance and complexities of the Home Staging industry. 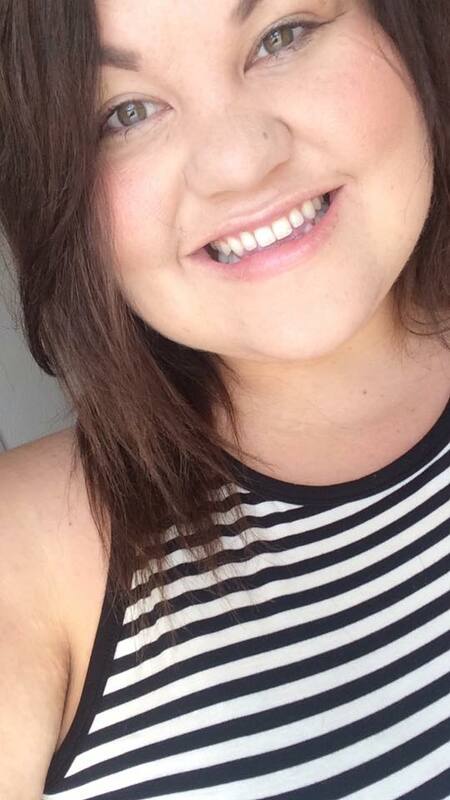 She has excellent customer services, daily educating and encouraging people in the pursuit of their goals. She spends time with each person that calls in daily inquiring about our ASP® courses and Stagedhomes.com; discussing their interests and their goals answering all their questions, enabling them to pursue their desire to become an Accredited Staging Professional. 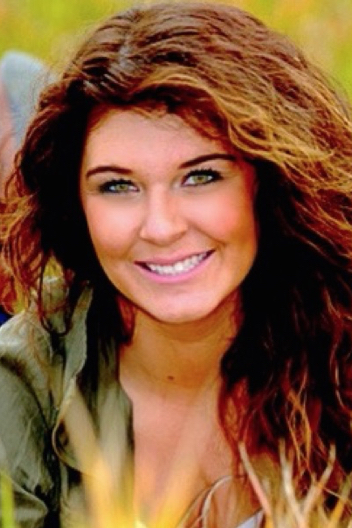 Lindsay is an ASP Marketing Specialist and has been with StagedHomes.com since 2013. She has a strong and diverse background in advertising, marketing, social media, visual/fashion merchandising, and retail management. Lindsay has an undergraduate studies background in Early Childhood Education, Sociology, and is currently working toward her degree in Business with a focus on Digital & Social Media Marketing. Lindsay is a SF Bay Area, California native. She is a free spirit, who is dedicated to her job, and is passionately driven, & motivated to create and produce a high-level of work. Lindsay appeals, engages and markets to current and future ASP’s with a contemporary & modern approach. Her goal is to always reach full business potential & growth. In her free time, you can find her with family & friends, drinking iced coffee, thrifting, or at the beach. Lauren Norris graduated from Colorado State University in May 2016 with a major in Communication Studies and a minor in Journalism. Social and online media have been a part of Lauren's life since she can remember. She found a way to turn a fun past time activity into a career that she's passionate about. Working as Staged Homes social as an online media manager is the next step that she's excited to take and looks forward to seeing how the company will grow and how she can help. 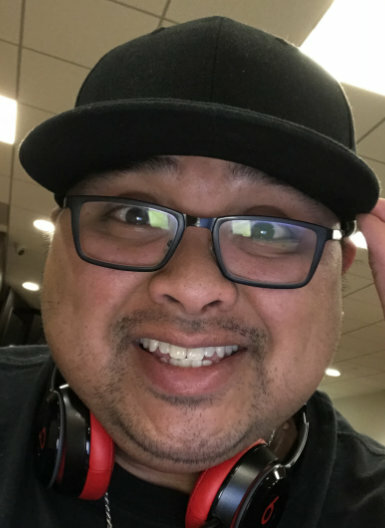 Aside from his love of coding, Gabe enjoys old school things, like retro-gaming, 90's Hip-Hop/R&B, and Freestyle music. On occasion, Gabe is a DJ, and also dabbles a bit in Photography.